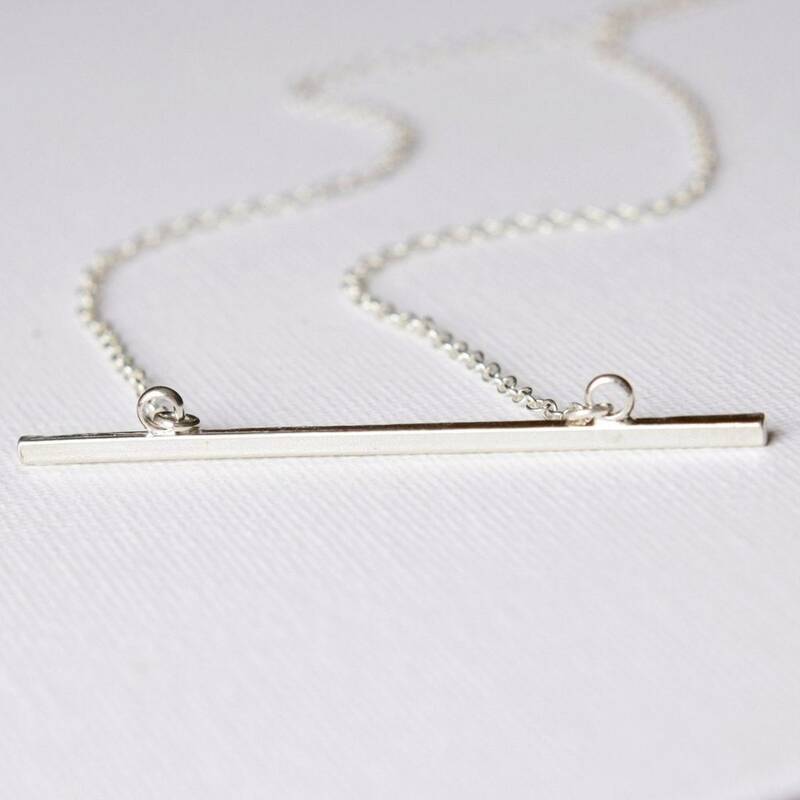 A striking minimalist necklace that makes a statement on its own or can be worn as a perfect complement to charm necklaces. 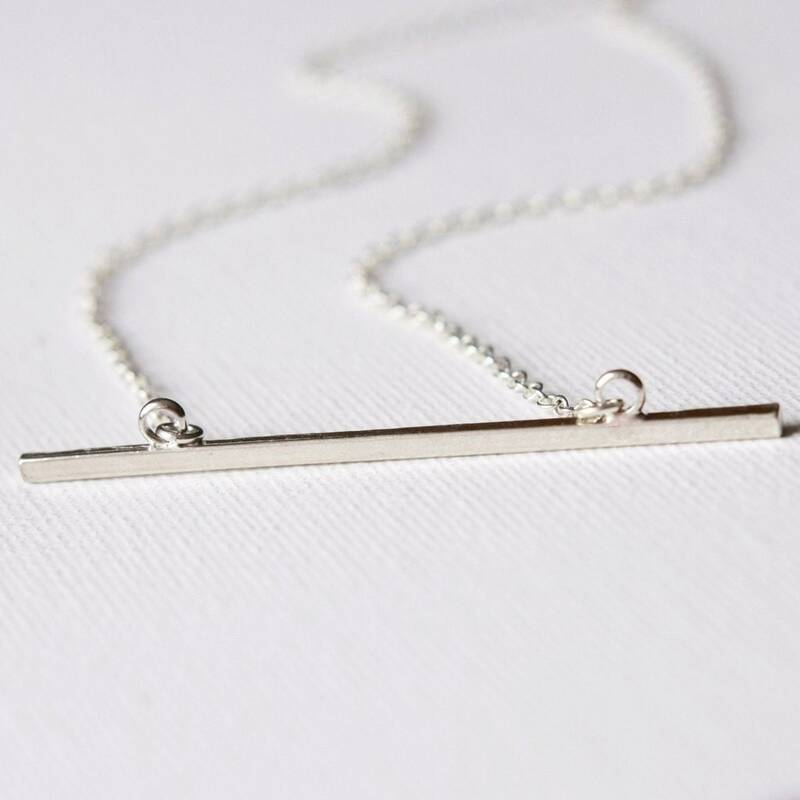 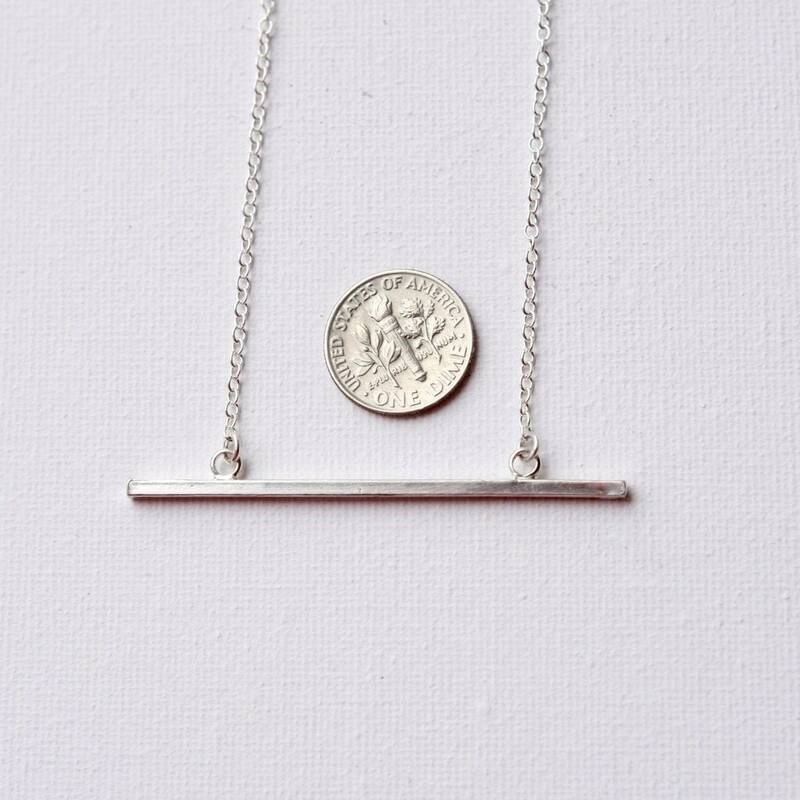 The focal point of this chic everyday necklace is a polished sterling silver 57mm skinny bar that hangs from shiny sterling silver cable chain. 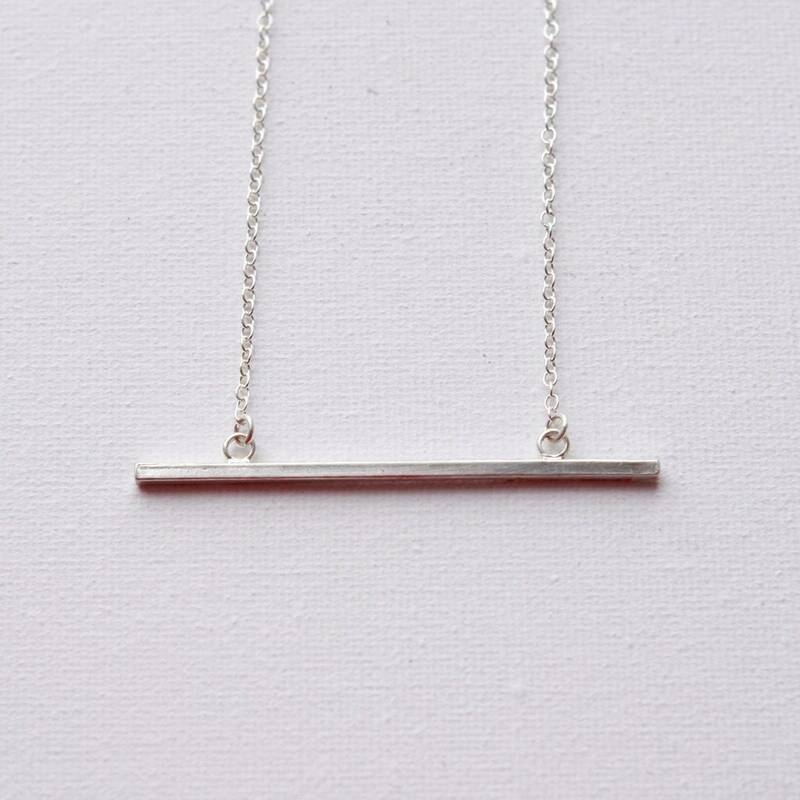 I love the combination of elegance paired with a modern vibe in this design. 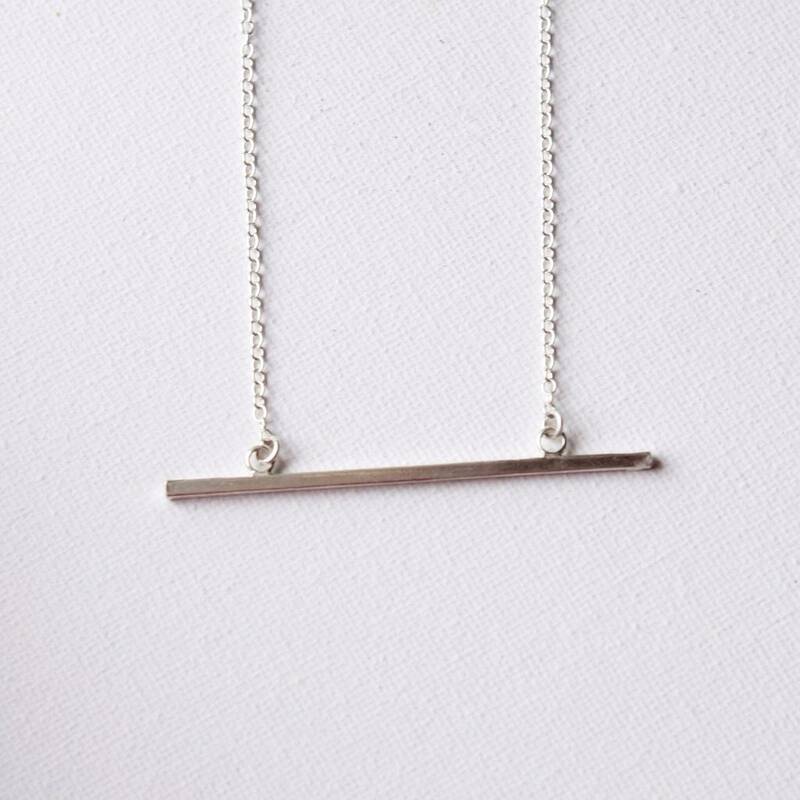 The necklace is finished with a sterling silver lobster clasp and you can choose your desired length from the drop-down menu above.